Doctors are "optimistic" that Deftones bassist Chi Cheng will recover from the life-threatening injuries he suffered in a car accident last week. The band blogged over the weekend, saying Cheng was able to move his lower lip after prompting by his father, and both of his legs responded with movement after a tendon reflex test. And yesterday (10 November), singer Chino Moreno wrote: "Chi is showing definite signs of improvement. His father expects when he fully awakes, they'll have to sedate him (again) so he doesn't start pulling out the tubes and wires from his body." Cheng's mother Jeanne added: "Again you all are so very much appreciated. God has his hand on our son, please continue to lift him in prayer. "For today please forgive someone who has wronged you or wronged yours. Not forgiving is like taking poison and expecting the other person to die. Please continue to stay buckled, show love and spread kindness throughout the day to those around you." Which is good advice, any day. 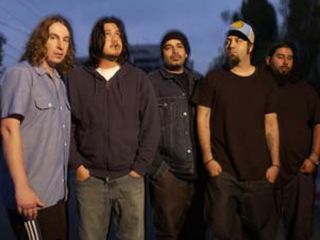 Deftones' next album, Eros, is expected to be released in spring 2009.